The pair, aged 15 and 16, had been due to appear at Wigan Youth Court this morning after hitting Leo Durrington in a stolen van on October 30. The case has now been adjourned until December 5. It is believed solicitors had asked for an adjournment at the 11th hour, to see if Leo’s condition improves. He was arrested at his home by police hours after ploughing into three-year-old Leo Durrington. The teenager, who cannot be named because of his age, was in a Ford Transit van being pursued by police when he lost control on a bend on Wigan Road in Leigh at around 10.35am on October 30. Leo was “ripped from his mum’s hands” and catapulted 17 metres (55ft) across a pub car park. He was put in an induced coma but on Monday, in a Facebook posting, the family said he had been taken off his life support machine and was now breathing for himself. The driver admitted causing serious injury by dangerous driving at Wigan Youth Court on November 1. He also admitted failing to stop for police, failing to stop after a collision, driving without a licence, driving without insurance and a handling charge for the stolen van. He was already accused of separate motoring offences before the van incident. A second youth, aged 15, pleaded guilty to being carried in the stolen vehicle. 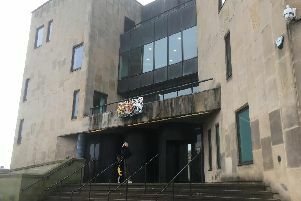 The court heard the youths were in a stolen van that sped off at 60mph when it was spotted by police before mounting a pavement where it hit Leo. His family has said “there may be a long way to go” but thanked the public for their support, prayers and good wishes.